Likes to grow near static 'fresh' water, especially canal banks. 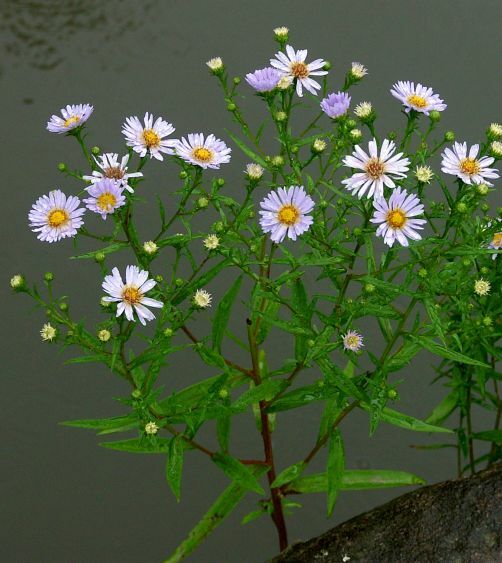 The flowers have many lilac-coloured ray-florets surrounding the central yellow disc florets. 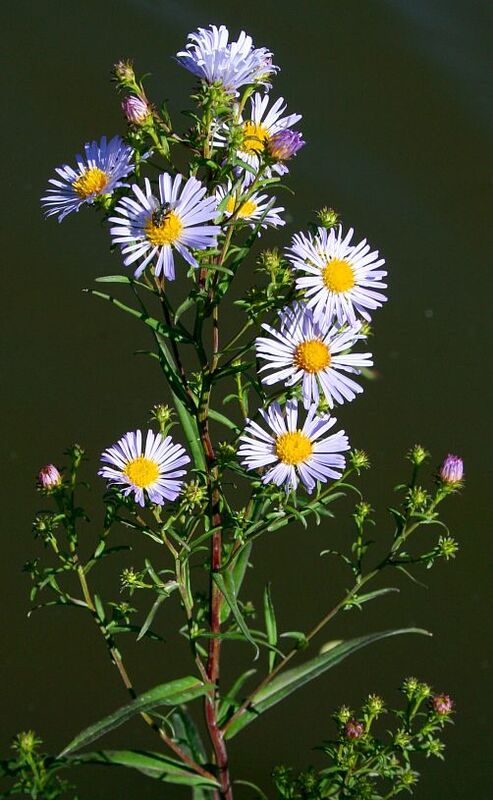 The un-paired leaves are narrow lanceolate up the stems. The stems go brownish and woody. Near the end of the season the disc florets turn brown. 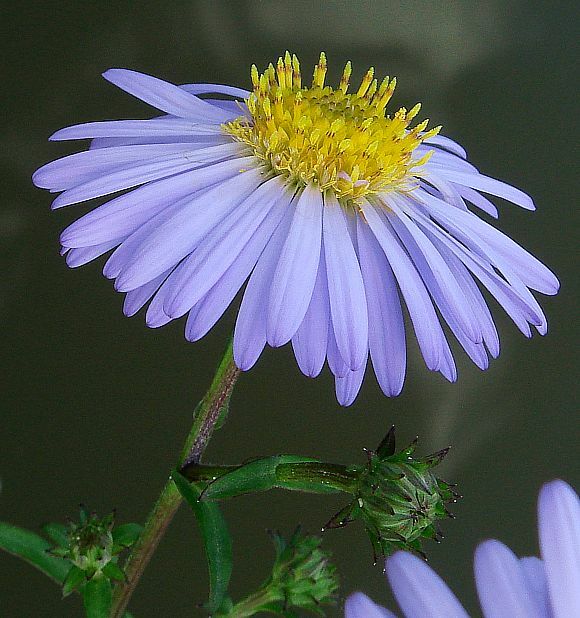 The petals are very narrow and long, pointed at the ends without much 'pinking' at the extremities in evidence. Ray florets have a tendency to cant slightly backwards. Are the stems sometimes square? They appear so here. 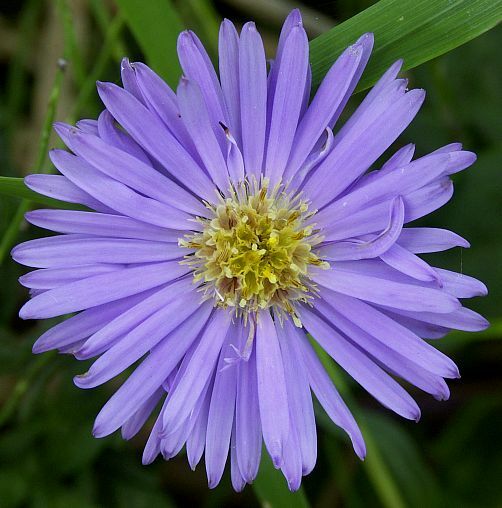 Many wild flower books fail to feature this plant. 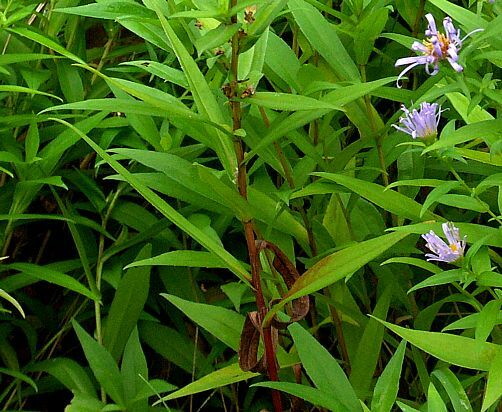 Perhaps they regard it as a very difficult plant to fully identify, which it is. This being so, the ID here is only tentative. 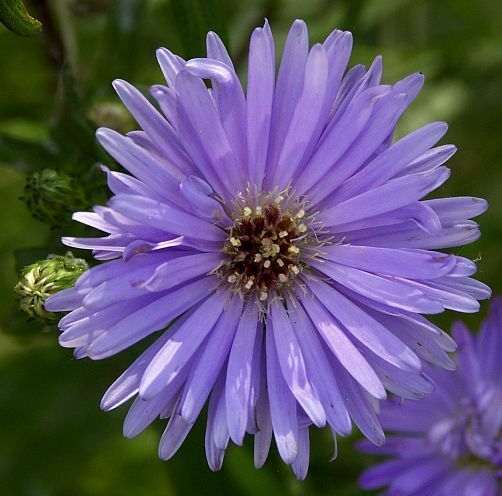 Another common name for this plant may be Perennial Aster.